The project for Human Resource Development Scholarship by Japanese Grant Aid (JDS) in Nepal would like to announce the opening of application for the 3rd batch. 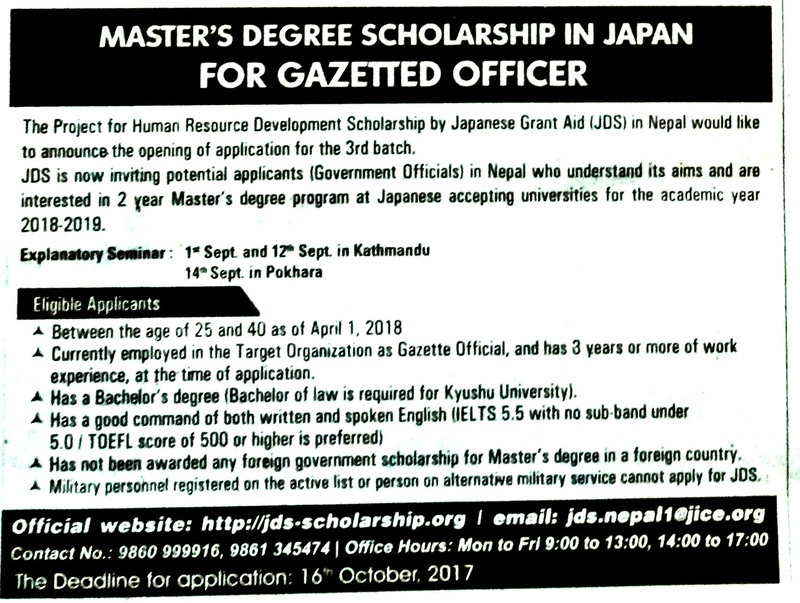 JDS is not inviting potential applicants (Government Officials) in Nepal who understand its aims and are interested in 2 years Master’s Degree program at Japanese accepting universities for the academic year 2018-2019. Has not been awarded any foreign government scholarship for Masters. Military Personnel cannot submit for the scholarship.